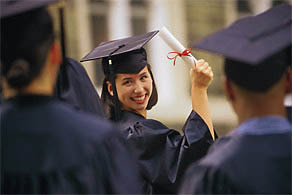 Please check back often for more resources designed for graduating college students. 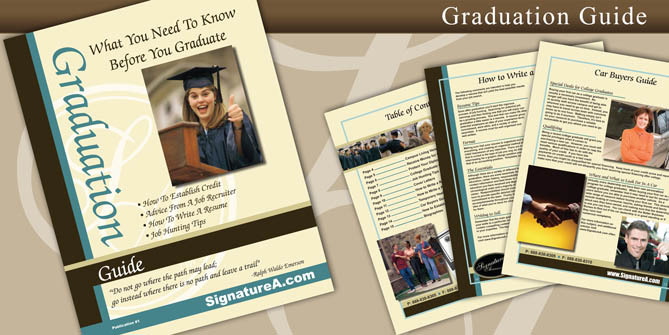 Graduation announcements do more than just let people know that you ve graduated. Additionally, it lets them know that you're moving on to a new step in your life, and have worked hard to get there. One common misconception made by many college graduates is that once you graduate from college you ll be able to easily get a job, pay off any debt, and go on to lead a financially stable life. Buying your first car as a college graduate is usually a necessary investment. Therefore, it s time to do your research to purchase a reliable automobile to get you where you need to go. Good credit will become very important when you decide to make a large purchase down the road, such as buying a car or home.